We use USDA certified organic Essential Oil of Clove Bud in our Tooth Polish formula, as well as The Healing Balm. Not only is it very tasty, but Clove Bud is a incredibly effective topical analgesic as well! 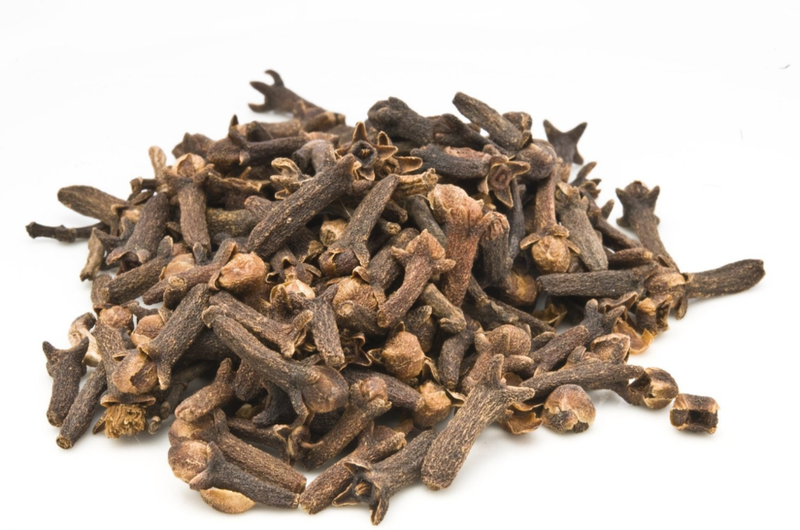 Clove Oil has been used in traditional Chinese medicine for hundreds of years to relieve tooth pain. Clinical research demonstrated that clove inhibits many pathogenic bacteria. In the past, dentists have used clove to disinfect disturbed root canals, since clove has moderately strong germicidal properties. A recent study showed that clove oil has a particular ability to inhibit the growth of mutant and wild strains of bacteria.